I had some sick Koi and put them in another pond and the one Koi in that pond spend all afternoon saving them. All Koi are fine. I think the other pond was not getting enough oxygen. We call the little guy THE LIFEGUARD now. Thats is amazing! youve caught something amazing! there!!!! pls do take care of them all!!! That is great that the fish’s sacrifice and hard work paid off! Yeah bless his little heart. Are the fish okay now? It definitely looks to me like your Helper is busy keeping his pals upright! I can see it. Isn’t it amazing. I cant see anything but your like “hes very busy helping fish there he is upright”. LOL!!! I don’t agree. These Koi were not floating, they were sinking the lifesaver Koi was bringing them back upright, its really quite obvious in the video. make sure you add an UV lite sterilizer to keep your pond sparkling clear without green, foggy water. I was told by a Koi breeder to put them a solution of salt water, forget now the percentage, just for 5 mins. I think it was to kill any parasites, and that its good for them for a short period. 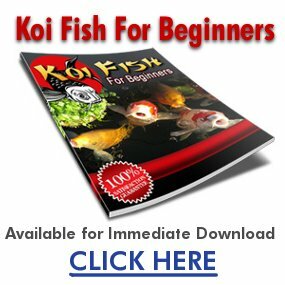 I think that Koi are really smart, who would have thought this would happen? is socalif in australia ? Believe me its not a perch! They are all Koi and a few goldfish. I really can’t see a perch eating a larger Koi. wow thats awsome! This shows that fish are not stupid, nice job, great vid! Koi have BRAINS AND FEELINGS! This is an awesome vid, thanx. Thanks, I wish it was clearer but at least you can really see what is happening. I never saw such a thing! PS, all these fish lived and I still have them, but I lost 3 of my large koi and still don’t know why.